Jam (Standing Next to You) (rehearsal). Jam (Standing Next to You) (broadcast). Bowie and Marc Bolan first met in July 1964. He was still David Jones then, while Mark Feld had gone through one pseudonym already and would soon acquire another. They were both prospects of the promoter Leslie Conn, who put them to work painting an office (when Conn returned after lunch he found them gone and only half the walls painted). Born within nine months of each other, Bolan and Bowie became fast friends, rummaging through discard bins on Carnaby Street for clothes, grabbing crumbs from the great banquet that was London in the Sixties. They wanted to be pop stars, but their various singles and albums didn’t sell; they spent the decade off-stage, in the wings. Then, as the hippie summer was fading, they began to strike. Bowie first, with his “Space Oddity” novelty hit, then Bolan, who ditched his Tyrannosaurus Rex mummery and his 20-word album titles and, using Bowie’s producer Tony Visconti, became the new decade’s first pop idol. Bolan’s success inspired and nettled Bowie, who aped Bolan’s singing voice on “Black Country Rock” and got Bolan to play lead guitar on his flop single “The Prettiest Star.” Bowie’s song for Bolan (“Lady Stardust”) was both a tribute to a fellow traveler and an attempt to press Bolan into legend, making him a predecessor to Bowie’s own creation, Ziggy, the last rock star. For a brief moment in 1972-73, they were on top together—Bowie breaking through with “Starman” while T. Rex was in the midst of its streak of top-charting singles. Paupers in the Sixties, they had suddenly come into their inheritances. When glam died, though, Bolan was left stranded, a drunken host desperately trying to keep a waning party going. His attempt at futuristic glam R&B, Zinc Alloy and the Hidden Riders of Tomorrow—A Creamed Cage in August (not a good sign that the elephantine LP titles were back) was a dud, while some subsequent LPs didn’t even chart. He alienated Visconti, who stopped producing him; he lived on brandy and cocaine, got fat, seemed a spent force. All the while Bowie had moved on: breaking America, where Bolan had only been a minor presence, and recording his masterpieces. So when Bolan and Bowie reunited in early 1977, the balance of power had shifted fully to Bowie’s side, to the point where Bowie could feel charitable. Staying at Bolan’s London flat during the Iggy Pop tour in March ’77, Bowie offered to co-write a song with Bolan, and the half-song (tentatively called “Madman”) that resulted had promise. With a raw, vicious opening riff that sounds like it’s inventing the Gang of Four, the best surviving version of “Madman” has Bolan’s shredding guitar fills and Bowie snarling lines like “when a man is a man, he’s destructive/when a man is a man he’s seductive.” Bolan would play the tape for friends: he was going to rework it, make it the center of his next record. 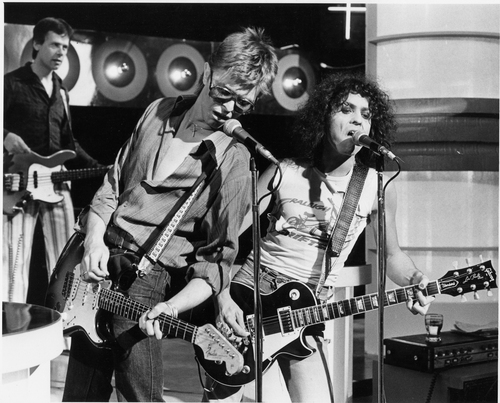 The taping started off well, with Bowie catching up with Bolan’s backing band (who included his former drummer Tony Newman and Herbie Flowers, who played bass on some of Bowie’s early ’70s songs, as well as Lou Reed’s Transformer). Bowie and Bolan worked on a jam to close out the show. It wasn’t much (it didn’t even have a title, though bootleggers over the years have called it “Standing Next to You” or “Sleeping Next to You”) but they were having a good time. Then Bowie started running the band through “Heroes,” became consumed with getting the right feedback sound, and it soon was clear there was no place for Bolan, whose guitar would just clutter up the song. Bolan, irritated, went back to his dressing room, drank some wine. Bowie’s security men and assistants began taking over the show, preventing Bolan’s friends and staff from coming in the studio. Bowie, caught up in his new song, didn’t notice. By the time they were to tape the jam sequence (which would run out the end credits), Bolan and Bowie were barely speaking. Mustering himself for the cameras, Bolan introduced the “new song,” and for a minute the two of them were equals again, scrubs playing a blues riff, making faces, calling each other out. Bolan went to strike a move and fell off stage, Bowie cracked up. The crew refused to do a retake, so the great reunion would end with a goof and a laugh. The two made it up over dinner that night, set out plans. Bowie was going to tour, Bolan was going to make a record that would put him back in the center. A week later, Bolan and his girlfriend, Gloria Jones, went out for a night of drinking. At 5 in the morning, Jones crashed Bolan’s Mini GT into a sycamore tree on Barnes Common, striking the tree with enough force to crush Bolan into the back of the car. He was dead in a second, having not reached his 30th birthday. Bowie went to Bolan’s funeral, set up a trust fund for Bolan’s son. The game had lost another player; Bowie had lost a friend, an influence, a rival, and one of the last who had known him when all he had was ambition. “Madman” was recorded ca. 4-7 March 1977 at Bolan’s flat, where Bowie was staying during the Iggy Pop tour’s stop in London. The Cuddly Toys covered it in 1980. “Standing Next to You,” or whatever it’s called, was rehearsed and taped on 7 September 1977, a week before Bolan’s death. Neither’s been released officially. Paul Trynka’s Starman has the best synopsis of the muddle that was the Bowie/Bolan reunion. There have been a number of other rumored Bowie and Bolan recordings from this period, though most seem spurious. The most credible-sounding, a track called “Walking Through That Door,” allegedly a supergroup recording of Bowie, Bolan, Gloria Jones and Tony Visconti from around the time of Bolan’s death, is most likely instead a demo of Jones’ brother, Richard, ca. 1975, with Bolan on guitar/vox. Top: Jones and Feld, class reunion, September 1977. A quiet little piece Brian Eno and I wrote in the Seventies. The cries of wolves in the background are sounds that you might not pick up on immediately. Unless you’re a wolf. David Bowie, on “Some Are,” 2008. Are there lost Low songs? An apocryphal quote by Tony Visconti, allegedly claiming that there are “dozens of bittersweet songs” left over from Low, seems to be the main source of this rumor (I’ve also seen references on DB message boards that Visconti said something similar about Lodger, for what it’s worth). Bowie is said to be assembling a deluxe reissue of Low, which presumably would include some of these mysterious bittersweet songs. Yet the release date of this epic reissue regularly gets pushed into the future (it originally was supposed to come out in 2007), and the chances that any new material will appear on it are…low. After all, Station to Station, reissued with grand fanfare last year in a massive boxed set, had no new music on it besides the heavily-bootlegged ’76 Nassau concert—no demos, no outtakes, no alternate takes or mixes, nada. Bowie has always been sparing with his outtake releases (though he lets the world and his wife remix his songs). Perhaps it reflects a perfectionist’s dislike of letting out into the world various half-finished songs and inferior takes. I imagine also that Bowie, like any good magician, wants to keep up illusions. He’s an avid recycler of his own material, and for all we know “Ashes to Ashes” began during the Low sessions, or “Blue Jean” was originally some reggae thing he did on Lodger. 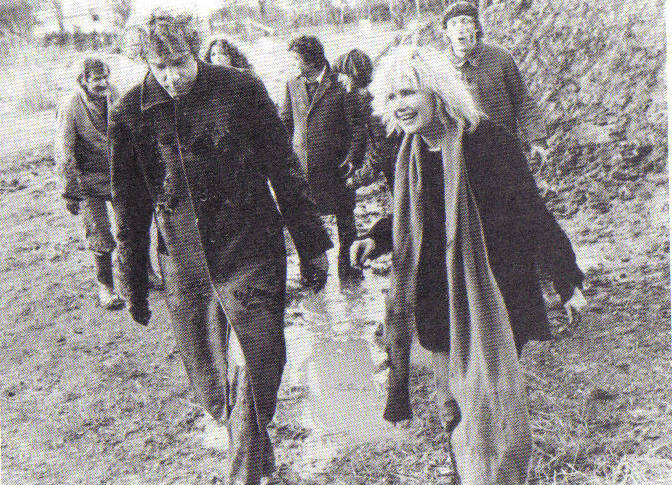 There are two “official” outtakes from Low: one, “All Saints,” is a bit of a ringer, a Low fragment reworked and titled in the early 1990s. By contrast, the other outtake, “Some Are,” is an essential piece of Low‘s sound puzzle, and it’s canonical enough that Philip Glass used it as part of his Low symphony. Recorded Château d’Hérouville, September 1976, and/or Hansa, Berlin; completed (and mixed) at Mountain Studios, Montreux, Switzerland, 1991. On the 1991 Ryko reissue of Low (out of print) and the 2008 compilation iSelect. 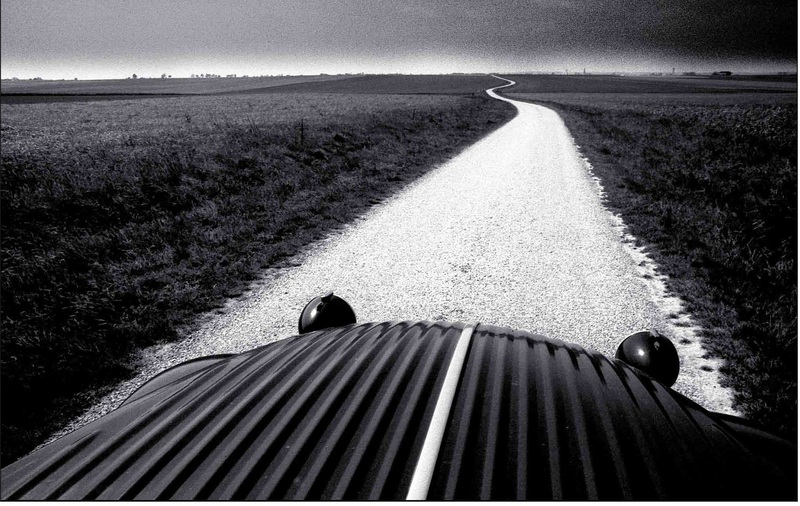 Top: Phillipe Hernot, “2Cv en Eure et Loir,” 1976. You are currently browsing the archives for the Late RCA Years: 1977-1981 category.